The once popular but now practically forgotten OneOff brand is now in new hands. Dion Giolito, creator of Illusione cigars, has purchased the OneOff trademark and has every intention of revitalizing this small boutique line of smokes. "I remember it being the first brand to really explode on to the market and gain one of those first cult-like followings," said Giolito about OneOff cigars, which came to the U.S. in 2002. "The OneOff concept was really the brand that inspired Illusione." Giolito acquired the OneOff trademark from Cuban Crafters, a company known for manufacturing and selling value-priced cigars. According to Giolito, his lawyer contacted Cuban Crafters and asked if they were willing to entertain an offer. "They were and I got it," he said. "They did have a few sizes on their site, none of which were the original 16 OneOff sizes. The original 16 is what I'm interested in—traditional sizes." Because the OneOff brand existed before the U.S Food & Drug Administration's predicate date, it qualifies as a grandfathered product, something that was appealing to Giolito as well. "All packaging and brand identity for the most part will remain identical to the original, and within FDA guidelines," said Giolito who added that the blend will also comply with FDA regulations, though he did not specify any further details. The history of the OneOff brand isn't particularly long, but it is a bit unusual. It was created by Andrea Molinari in 2001, who ran a La Casa del Habano in Milan, Italy and wanted a cigar brand of his own. Molinari was also the CEO of Italian airline Lauda Air S.p.A. When he couldn't get a cigar brand made in Cuba, he sought the expertise of the Plasencia family in Nicaragua. The Plasencias made OneOff cigars under contract for Molinari at their Segovia Cigars S.A. factory in Nicaragua, but initial production was very limited and the first run of cigars were only shipped to a few accounts, mostly in Asia and Europe. This was in keeping with the idea behind the name OneOff—cigars being made in such limited quantities, they were almost unique enough to be considered one-offs. The packaging was certainly unusual. It adopted Gerald Holtom's universally recognized peace sign as its central motif. The symbol also served as a logo for an airplane, a nod to his days with Lauda Air. Word got around. 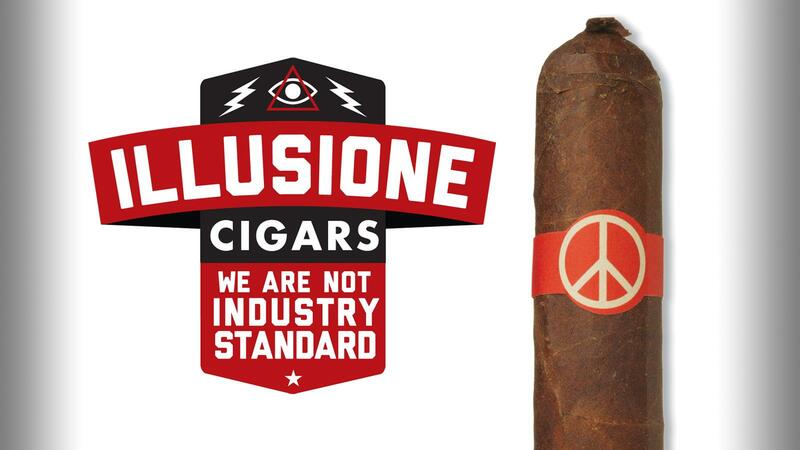 Soon, cigar fans in-the-know were seeking these curious smokes with the peace symbol for a band. By 2002, OneOff got its U.S. distribution through Philip Wynn's Felipe Gregorio Cigars Inc., and two years later, Molinari transferred distribution to Paul Giacalone who established OneOff Cigars U.S.A. in Massachusetts. These were by no means inexpensive cigars. In 2002, OneOffs debuted with suggested retail prices mostly in the $12 to $16 range—pricey even by today's standards. One size, the OneOff +53 Super R (named after Cuba's country code) went for $20. The OneOff Allegria line, which came out in 2004, was more reasonably priced at $4.50 to $6.50. Between 2002 and 2004, several of the cigars scored in the 90s in Cigar Aficionado and Cigar Insider blind tastings. By 2009, OneOff was no longer owned by Molinari and no longer made by the Plasencias. Instead, it was being made and sold by Cuban Crafters, which produced a short-lived brand called OneOff Doble Capa, a two-toned cigar with a Connecticut wrapper on the bottom half, and a much darker wrapper leaf on the top half. Unlike the earlier versions of OneOff, it was made by Cuban Crafters with a different blend altogether and intended for a more price-conscious audience. Now that Giolito owns the trademark, he hopes to take OneOff cigars out of retail limbo and bring them back to the market, restoring the brand's former cult-like status. The original blend made by the Plasencias consisted of a Honduran wrapper, the rest, Nicaraguan tobacco from the country's various growing regions, some of which was grown from first-generation Cuban seeds. Giolito intends on producing OneOffs at the TABSA factory, where most of his other brands are made, but doesn't expect to have any product on the market until sometime next year. Pricing has also yet to be established. "The OneOff brand made such an impact on me; it had such potential," said Giolito. "I think it fits well into my existing portfolio. We're probably best suited for a brand like this."